You might be getting phone calls from a debt collector if you’ve fallen behind on paying some bills. You could even receive these calls if a bank or lender mistakenly believes that you’re behind on payments. These calls can make a tough financial situation feel even more stressful. 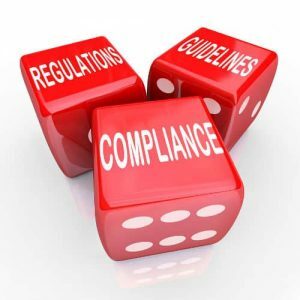 The good news is that you have protection against poor debt collection practices. Learn more about the rights that the Fair Debt Collection Practices Act gives you. When and Where Can Debt Collectors Call You? Who Else Can a Debt Collector Call? Which Details Is the Debt Collector Required to Disclose? What If You Do Not Owe the Money? 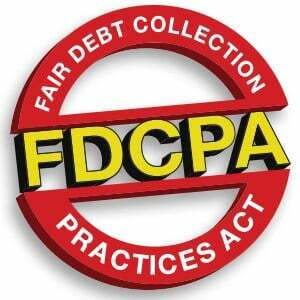 What Other Debt Collection Practices Does the FDCPA Prohibit? What Do You Do If a Debt Collector Violates the FDCPA? The government passed the FDCPA to protect the best interests of consumers. Enforced by the Fair Trade Commission, the law sets forth rules that debt collectors have to follow when they contact consumers about debt. In general, it protects against debt collection practices that are abusive and unfair. The FDCPA covers debts such as car, credit card and medical loans. It doesn’t cover debt that consumers incur as part of operating a business. Debt collection agencies aren’t allowed to call you at inconvenient times. They are only allowed to make collection calls between 8 a.m. and 9 p.m. However, you could agree to receive calls outside of this period. Debt collectors also can’t call you at work if you tell them verbally or in writing not to. This is a particularly beneficial right if your employer doesn’t allow you to accept personal calls on the job. You can even exercise this right simply if you don’t want to be bothered or want your employer to know that you’re having financial trouble. In addition to phone calls, debt collectors can contact you by email, text message or written letters. The FDCPA only restricts phone calls, so debt collectors can send other messages at any time. This is because email and text messaging weren’t around in 1977 when the law was passed. However, they do still have to follow the other rules of the FDCPA. A debt collection agency can call other people to reach you. However, it can only ask about your address, phone number and job location. In general, the debt collector can only contact a third-party for this information once. It’s only permitted to talk about your debt with your spouse or attorney. If you have an attorney, the agency must contact him instead of you. A collection agency has to send a written “validation notice” that tells you the amount that you owe. It must send the statement within five days of its initial contact. The notice has to give you the name of the lender and instructions for steps to take when you don’t owe the money. You have the right to send a letter within 30 days after receiving the validation notice asking for verification of the debt. If you dispute all or part of the owed amount, the debt collector can’t call you while it verifies the amount or investigates your case. The agency can begin contacting you again only after it send written verification of the debt. 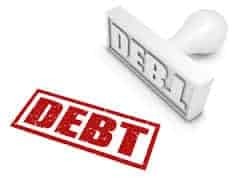 A legitimate debt doesn’t go away just because the debt collector stops contacting you. If you don’t pay the verified amount, the lender or collection agency has the right to sue you. Under the FDCPA, debt collectors aren’t allowed to abuse, harass or oppress you or others that they contact. This means that they can’t call you repeatedly in one day, threaten you or others with harm or violence, or use profanity. The law also prohibits them from making false claims. They can’t pretend to be lawyers or work for credit reporting companies or the government. They also can’t falsely claim that you’re a criminal or misrepresent how much you owe. During communication, whether in verbal or written form, they can’t say that you’ll be arrested for not paying the debt or that legal action will be taken against you. They also can’t say that they’ll garnish, seize or sell your property or wages unless the law permits them to take such action or if they actually intend to do so. Furthermore, the FDCPA prohibits collection agencies from engaging in unfair practices such as collecting interest that’s not part of the original debt contract. They also can’t deposit post-dated checks early or contact you via postcards. If a debt collector violates FDCPA rules, you can notify the FTC, Consumer Financial Protection Bureau and the Attorney General’s office. You also have the right to file a federal or state lawsuit within one year after the agency committed the violation. The judge could make the collector pay you for damages that resulted from the violation and for attorney and court costs. However, any verified debt doesn’t go away.